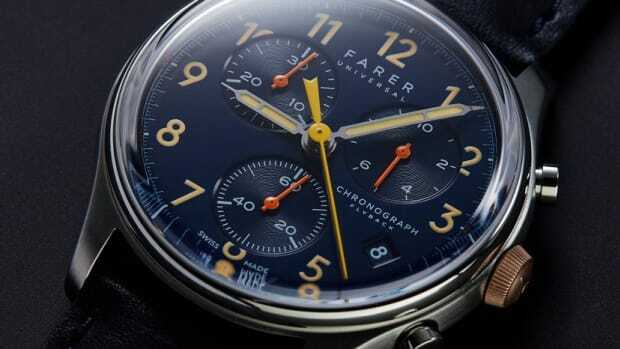 The vibrant array of chronographs feature 39mm cases and Swiss ETA movements with bronze rotors. 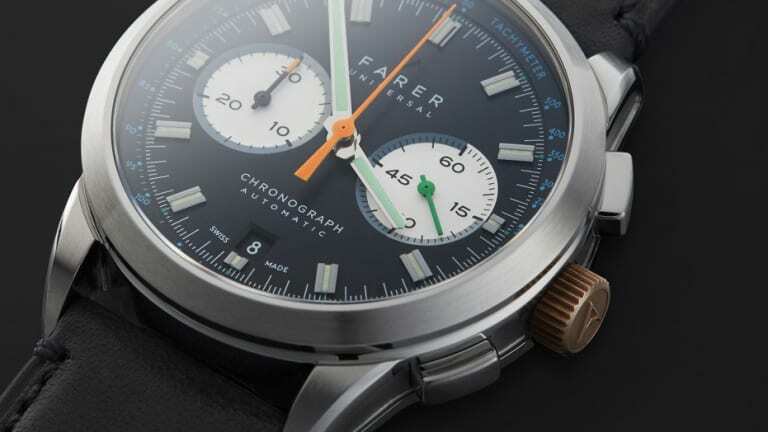 There&apos;s just something about Farer&apos;s color choices that steal our attention every time and their new collection of chronographs have definitely hit it out of the park once again. Part of their mechanical collection, these styles are their first ever chronographs, each housing ETA 2894-2 Élaboré chronograph movements with 42-hour power reserves and a beautifully finished 39mm case. 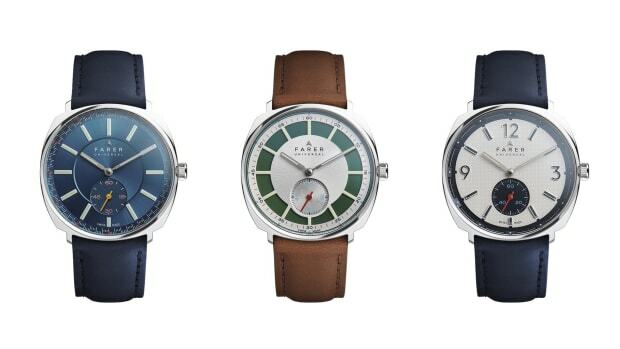 The watches come in three models: the Cobb (left), Seagrave (center), and the Eldridge (right). 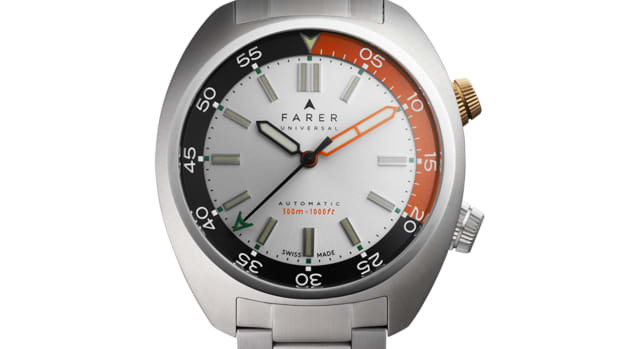 Each feature three dimensional detailing on the dial, Horween leather straps, and of course, those distinctive colors that are simply hard to ignore. 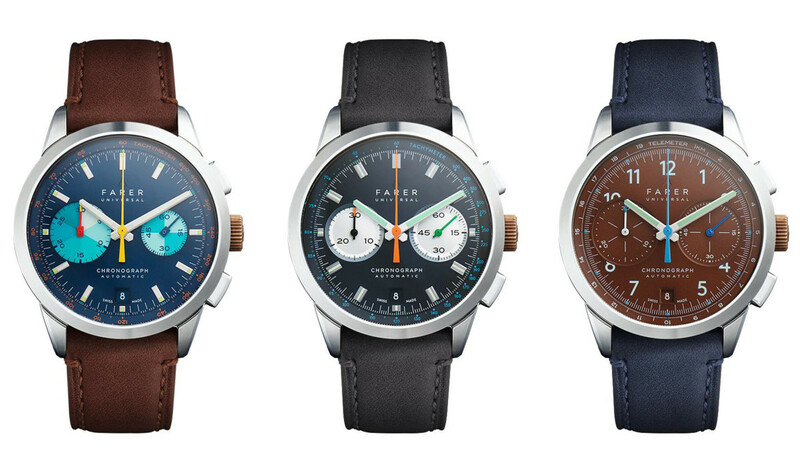 A beautifully-designed tribute to classic watchmaking. The watch recalls the stylish dive watches from the '70s.